When it comes to murder weapons or freak accidents, we do not usually look for suspects in a candy dish or bakery. Chocolate, caramel apples, and bubble gum seem so harmless. However, throughout the years, some of the most horrific and shocking deaths can be traced back to candy and other fateful dessert choices. From the Candyman Murders of 1974 to India’s recent toxin outbreak, these ten shockingly dangerous sweets show just how dangerous our favorite desserts can be. In 2016, in the Punjab province of Pakistan, a family prepared to celebrate the newest addition to their family. 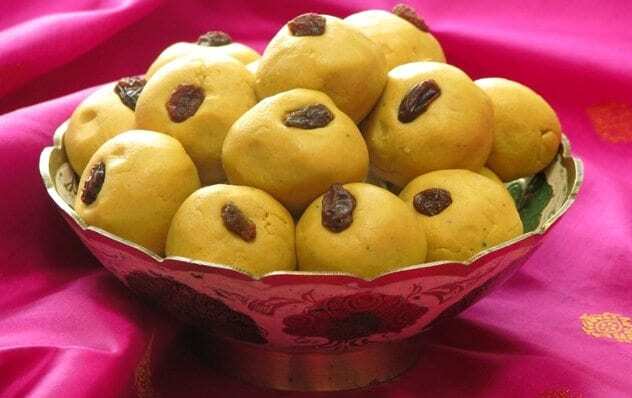 Following the birth of a happy and healthy little boy, an ecstatic father rushed to a bakery to purchase an assortment of tasty “laddoo,” sweet, ball-shaped pastries, in honor of his son’s arrival. It never occurred to him that he was unconsciously sentencing himself and 11 close family members to death. Unbeknownst to the father and fellow customers, the pesticide shop next door to the bakery was undergoing construction and renovations. Oddly, the owner of the bakery graciously offered to store some packaged pesticides for the neighboring poison shop until the construction ended. Although full explanations are still unclear, officials are certain that some of this poison “mysteriously” found its way into the pastries. The pastry shop owners and an employee were arrested on suspicion of knowingly poisoning their customers. Over 70 people became seriously ill from these deadly pastries. Out of these 70 victims, 23 died from poisoning. Regardless of whether this poisoning was intentional or not, one thing remains clear, a little Pakistani boy lost his father and family on his birthday. Halloween is said to be the perfect time for ghouls and monsters to walk among us. However, under cheap, plastic masks, some real monsters lurk—often much closer than we think. In 1974, in a quiet Pasadena neighborhood, 30-year-old Ronald Clark O’Bryan lurked under the best disguise of all—a friendly, all-American dad. On Halloween night, O’Bryan, his wife, and their two children, Timothy and Elizabeth, enjoyed dinner with their close friends, the Bates family. The children rushed through dinner and eagerly prepared for an exciting night trick-or-treating. Armed with costumes, candy pails, and their fatherly escorts, the group took off for a fateful night. Later that evening, O’Brian’s son, little eight-year-old Timothy, began complaining of stomach pain. Before the night ended, the little boy became violently ill with vomiting and was in excruciating pain. He was dead by morning. Although O’Brian managed to put on a false mask of shock and horror over his son’s death, a prompt autopsy of Timothy’s body revealed a horrifying level of cyanide—enough to kill three adults. 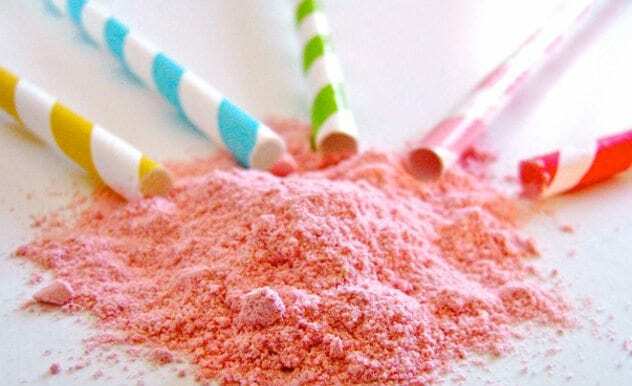 Police launched an investigation and managed to find one of the deadly Pixy Stix for examination. It was not long before justice revealed the depths of O’Brian’s deception and depravity. A temptingly large insurance policy of $60,000 prompted the father to kill his son in hopes of gaining enough money to rescue him from past financial struggles. The jury found O’Brian guilty of murder with a death penalty to be carried out on March 31, 1984. Protestors outside the prison shouted “trick-or-treat!” as the father met his end. Too much of anything is a bad idea. Shockingly, this principle applies to our favorite candies and treats. In a fit of morbid curiosity, researchers at the American Chemical Society conducted an experiment to determine just how much candy is a “lethal dose.” Using some of the most famous types of Halloween candy such as candy corn, dum dums, and sugar babies, scientists began calculating the deadly dose of sugar. “LD50,” a term used to describe “the quantity per kilogram that would kill half of an animal test population,” was applied to each candy. For sugar, this number is 13.5 grams per pound. For an average adult of about 180 pounds (81 kg), about 5.4 pounds (2.5 kg) of sugar would be a deadly poison. Translated literally, 262 small candy bars or approximately 1,627 kernels of candy corn could send you to an early grave. 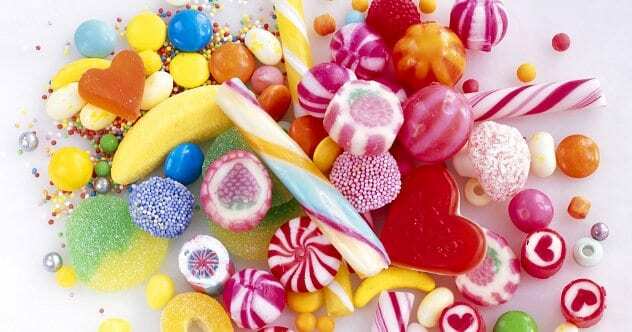 For candies with higher levels of sugar such as sugar babies, blow pops, and nerds, it is even easier to reach the fateful 20,000 calories required for a sugary death. Although not as scary, candy is a deceptively dangerous type of poison. “Explosive chewing gum” sounds like something out a corny comic book or even a creation of the mischievous fictional character Willy Wonka. However, for 25-year-old Ukrainian, Vladimir, this dangerous candy was responsible for his horrific and shocking death. The explosion occurred at his family home where the young college student was spending his holiday between semesters. His mother ran into the room only to find her son in critical condition with no jaw and very little of his face remaining. This young college student was an apt inventor and curious chemistry student at Kiev Polytechnic Institute. Although his family and friends knew of his penchant for tinkering and experimentation, no one suspected the deadly experiment he created. Forensic testing on Vladimir’s gum revealed a mysterious, unidentifiable substance responsible for the sudden explosion. Many feel this horrible death was an accident. Vladimir was not suicidal; if anything, his academic and social future was very bright. Life is incredibly fragile; something as small as a contaminated piece of gum can easily end it. Anything can become a death trap. At the wrong place and at the wrong time, even our own job may become something out of a horror film. For 24-year-old confectionery worker, Svetlana Roslina, her job became her grave. Roslina, a mother of two, arrived for a normal day at work at the Fedortsovo Chocolate plant near Moscow. By 6:00 p.m. that evening, police arrived to find the young woman trapped within a giant chocolate mixer. Her body was completed minced with only portions of her legs remaining intact. Even if she had been found in time, the extent of her horrific injuries ensured her death. Although authorities and the plant managers are still uncertain of the exact cause of her death, some suspect that Roslina fell into the vat trying to retrieve a lost cellphone. Others feel she may have simply been trying to empty a large sack of ingredients when the mixer blades accidentally trapped her. The licorice plant is responsible for much more than the modern-day “Twizzlers” and “Red Vines.” Historically, licorice was an important medicinal herb for both Greeks and Romans in the third century. England and other European countries continued to cultivate and experiment with licorice root for both medicinal and commercial purposes, ultimately developing the tasty candy we know and love. Some feel the licorice plant is helpful for treating medical disorders such as heartburn and bronchitis, but a growing number of medical researchers feel that its key ingredient, an ultra-sweet compound known as “glycyrrhizin,” is a recipe for disaster for those with cardiovascular issues. 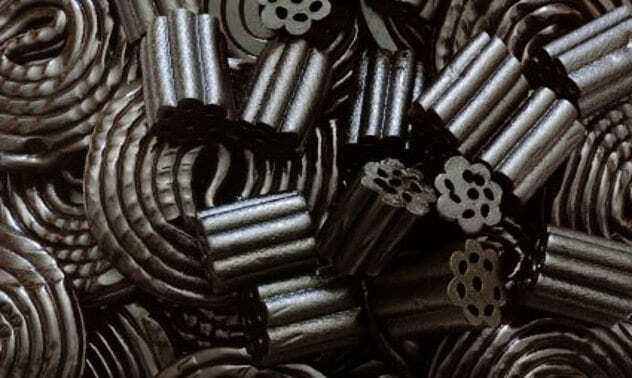 New research has revealed that eating just two ounces (56 grams) of black licorice a day for two weeks can cause alarmingly dangerous heart rhythms in some people. These heart patterns are caused by abnormal kidney function. Glycyrrhizin causes the kidneys to excrete too much potassium. As this mineral passes from the body too quickly, the heart rate becomes uneven and potentially deadly. This mineral imbalance also causes abnormal water retention, a serious threat for those with high blood pressure and other heart defects. Although this famous candy may not necessarily cause a full-blown heart attack, doctors warn that it certainly does not help one’s odds of staying out of the emergency room. For Snow White, a single apple nearly proved deadly. Although her fateful apple was only a fairytale, for at least four people in the United States, apples proved to be the deadly stuff of nightmares. On January 6, 2015, a Californian apple grower recalled their Granny Smith and Gala apples after an outbreak of deadly Listeria monocytogenes—the same bacteria responsible for over 1,600 illnesses and 260 deaths every year. Among the contaminated fruit, pre-packaged caramel apples were the deadly perpetrators linked to four deaths and over two dozen further illnesses. The bacteria proved most serious for expectant mothers, infants, and others with compromised immune systems. The Centers for Disease Control and Prevention issued a quick warning when signs of the contamination began to surface. 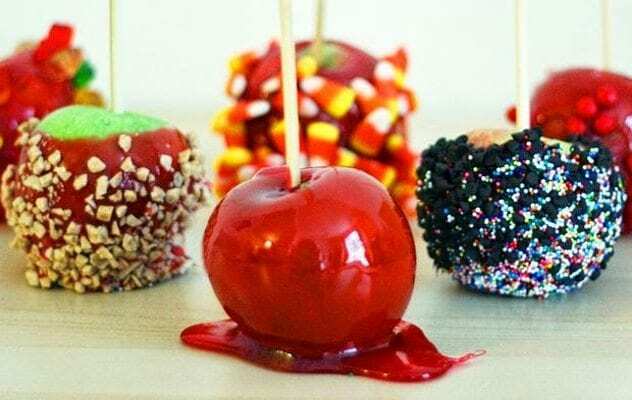 Oddly enough, the Listeria bacteria did not affect plain apples; people were warned to stay clear of all caramel apples with nuts, sprinkles, and other toppings. Although the contamination was eventually contained, the damage was done. What started out as a sweet treat, quickly turned into a national nightmare, affecting at least ten states. Homemade candy sounds like a great idea. After all, it is cheaper, it sounds healthier, and it could even be a great craft for kids. However, homemade is not always better. For San Antonio residents, homemade candy nearly ruined their children’s yearly trick-or-treat experience. Hidden inside harmless-looking gummy bears and lollipops, were high levels of THC, one of the key chemicals found within marijuana plants. This chemical compound is infamous for triggering a huge dopamine release within the body, resulting in powerful euphoria and hallucinations that last for as long as two hours. Although initially pleasant, this compound still carries risks, particularly if accidentally consumed by children. When disguised as candy and other tempting treats, overdosing on this drug is deceptively easy. Several days before Halloween, a couple was arrested on suspicion of illegally growing marijuana in their yard. Detectives searched their home and found stashes of homemade candy as well as candy molds and supplies. 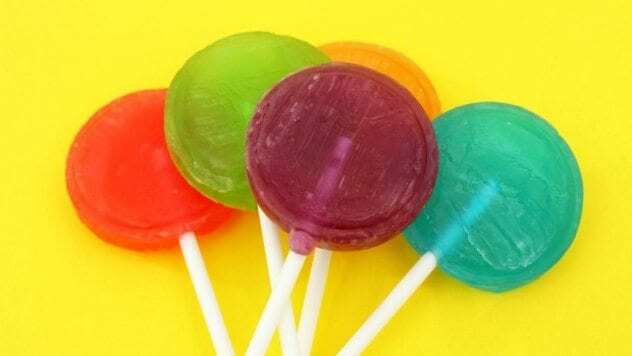 An impressive stockpile of lollipops and other candies were also found inside the couple’s cars. They eventually admitted that all of the candy was laced with THC—something forensics later confirmed. Authorities suspect that the couple planned to pass out the candy on Halloween night to unsuspecting children. Although all the candy and drugs were safely confiscated, detectives feel they narrowly avoided a massive Halloween overdose. When it comes to domestic murder, Julia Lynn Turner is a gruesome legend. 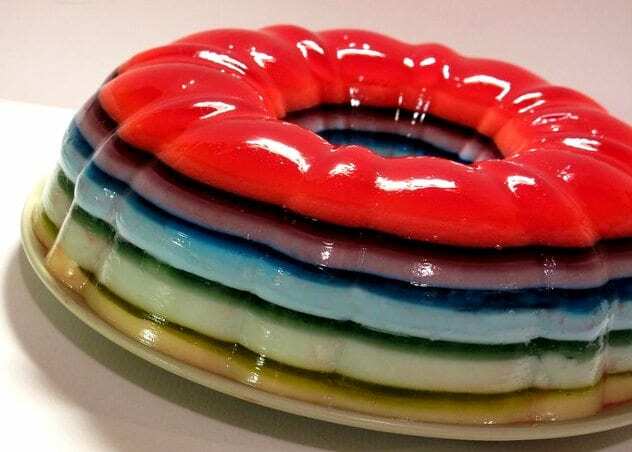 Using an ingenious but sickening plan, she successfully managed to kill off her husband and boyfriend with nothing more than poisoned jello, and she nearly got away with it. Firefighter Randy Thompson and police officer Glenn Turner shared the same unexpected death. Although both men experienced what looked like nothing more than a simple case of the flu, they died 24 hours later with a heart-failure diagnosis. It was not until a later autopsy that ethylene glycol, a key ingredient in antifreeze, was found in both bodies. Their heart-failure diagnosis was quickly changed to poisoning. Julia Lynn Turner denied any guilt, but the $186,000 in benefits and insurance she received after the deaths suggested otherwise. Turner admitted that her husband Glenn ate several crackers and some jello shortly before he showed symptoms of poisoning. Due to the color and consistency, the jello was the best possible hiding place for the lethal antifreeze. Although Turner was caught and convicted, she was later found dead in her cell from an apparent suicide by overdose—ironic considering what she did to her lovers. Famous Bible characters Adam and Eve were the first to suffer from a forbidden fruit. However, they were not the only ones to suffer from poorly-chosen fruits. In 2014, Dr. Rajesh Yadav moved to Muzaffarpur, India, to investigate a deadly outbreak plaguing the country. Beginning in 1995 during the monsoon season, Indian children began suffering unexplainable seizures that nearly always led to comas. In 40 percent of these cases, the children died. The outbreak was chaotic and unpredictable, rising suddenly and disappearing just as fast. One of the few details that stood out was the fact that the outbreaks usually occurred in mid-to-late May. Although all other investigators were at a loss, Dr. Yadav and the India Epidemic Intelligence Service were determined to settle the mystery once and for all. With the help of US Centers for Disease Control and Prevention, India’s National Center for Disease Control began systematically going through possible culprits of this deadly illness, that only seemed to target children. Pesticides, rats, and even heat stroke were early theories. It was not until 2013 that the biggest clue surfaced. “Jamaican vomiting sickness,” a toxic outbreak in the West Indies showed shockingly similar symptoms. This illness was a result of fruit toxins. Indian investigators quickly began connecting the dots. The lychee orchards in rural India were the culprit. Mischievous children loved to steal the sweet dessert-like fruits for after-school snacks. 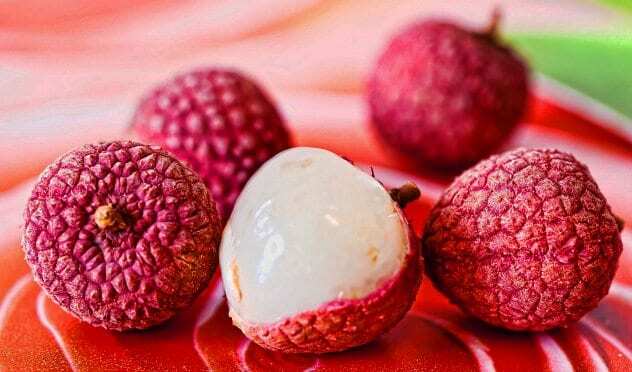 Researchers found that the lychee fruit contains a toxin called “hypoglycin.” The children that ate unripe lychees on an empty stomach experienced a catastrophic drop in blood sugar, resulting in the seizures and comas. With time and warnings, the death toll began to fall as more and more parents saw the danger in letting their children indulge in these deadly fruits. What seemed like a good dessert and snack, was literally the biggest danger for these Indian children. 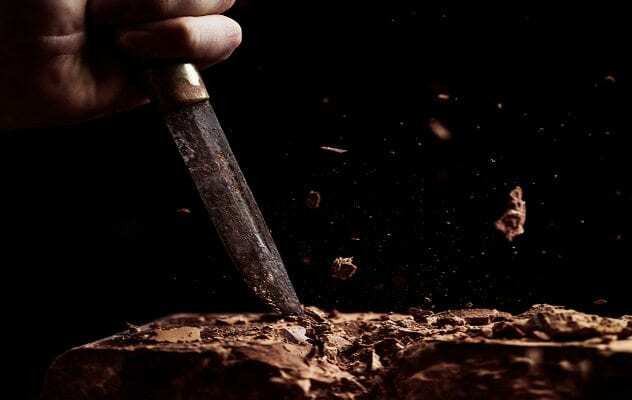 Although a handful of candy or a warm pastry are not usually considered weapons of choice, history has shown us that some of the greatest dangers come packaged in the sweetest of disguises. Even fruit—nature’s dessert—may prove lethal in the wrong hands or circumstances. Before we indulge in our favorite dessert, we should keep in mind that it may very well be our last. As a nursing student, I spend most days trapped in class or buried under study guides. However, I spend my free moments as a freelancing ghostwriter and science fiction enthusiast. Come visit me on Hubpages and Blogmutt for more of my work!